Design systems are one of the hottest topics in web design and development right now. They can speed up the design process, improve collaboration between teams, create a cohesive user experience, and ultimately help develop better digital products. Companies across the world are currently figuring out how to build their own systems, but the first steps can be challenging, especially if you have to deal with the realities of multiple websites, multiple platforms, and legacy code. 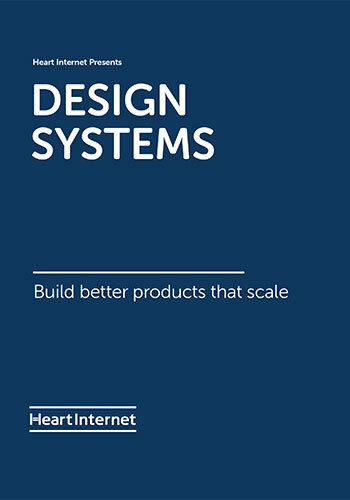 In this free ebook, five authors that have been instrumental in the creation of design systems explore the language and components of design systems, as well as how to encourage usage, maintain an existing system, and make them flourish. There are also case studies from two very different companies – Amnesty International US and Auto Trader – providing their design systems journeys. Follow the tips, techniques, and stories provided in this book, and you will be well on your way to building a successful design system for your own organisation. An independent editor, content consultant, and founder of Pixel Pioneers, Oliver was formerly the editor of .net magazine and has been involved with the web design and development industry for more than a decade.